Working on cars and motorcycles is nothing new for me as I have been working on vehicles of mass transportation for over 35 years. I got my start in dis-assembly, assembly and troubleshooting of vehicles big and small in a garage in the backyard of my parent's house. 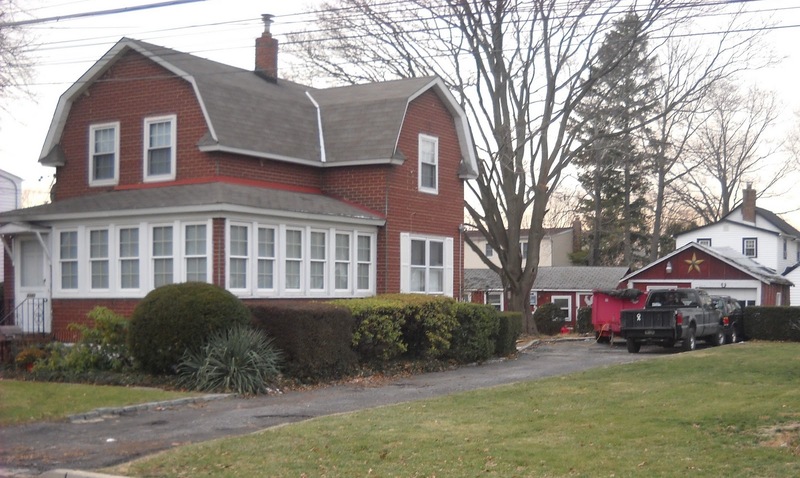 This house on 2349 Lafayette Street was built in 1913, a two bedroom Dutch colonial, which means it was a two story home with gambrel roofs and if anyone had a car back then it probably was a Ford Model T. Dad's Garage was a two car garage, but in the sense of fitting two Model T type of cars, which is to say, it was smaller than a two car garage of today. The floor was concrete that even as a child was not in great shape, showing cracks and larger fractures. The building certainly was not insulated and in fact, it did not have dry wall either. It had two swing style doors that my father later converted into a wall with a window on one side and a tracked overhead garage door on the other. He also put a side door in and ran 220 volt service to the garage. Heat came from a Round Oak No. 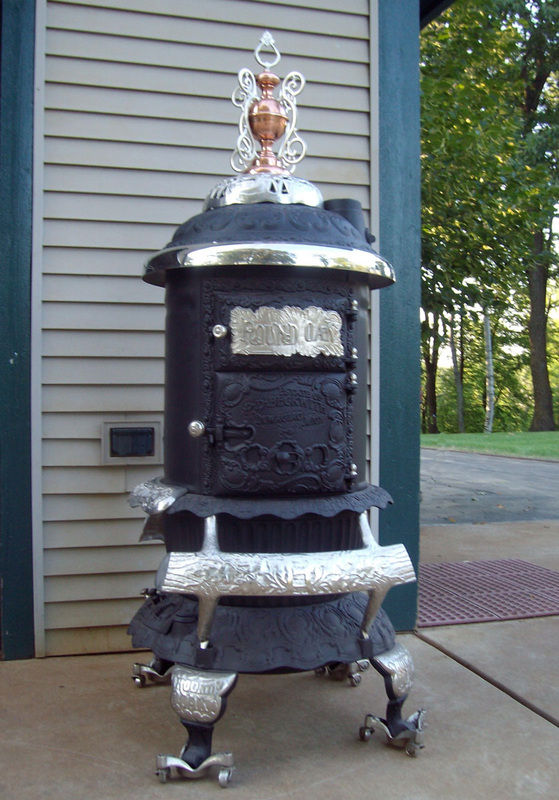 18 wood stove. My first ventures in the garage were to take wood scraps and make things out of them or pillage bins of various nuts, bolts and washers in my trying to create something from whatever I'd find laying around. Dad was into woodwork, something that I myself never got into, like the game of golf (my Dad was a greens keeper), time spent in frustration. My artisanal pursuits were or should I say became oriented in the mechanical direction instead. Uncle Cam (Cam is the shortened version of the Italian nickname for Carmine, Camminuccio) was an auto mechanic for an Oldsmobile dealer, Mack Markowitz Oldsmobile and to whose expertise I am indebted to this day. My seemingly eponymous uncle would come over when dad had a problem with his car (we tended to own Oldsmobile) and Uncle Cam would fix it in the yard (like when the Vista Cruiser overheated and Uncle Cam replaced a head in the back yard). This lead to my own experiments with cars. 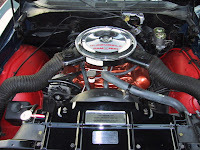 I remember being something like 9 or 10 years old and after seeing some hot rods on TV or may be in print I must have concluded that obviously, the stock air cleaner assembly was insufficient to do the job. I fashioned an air filter from a old can of wax or compound for my dad's 1967 Vista Cruiser, which had a 330 2bbl engine. I drilled holes in it and cut a hole for the carburetor with tin snips. I loved how it sounded, but it did not impress dad and it did not stay on the car long. Not long after, I found some spare hoses from our pool's filter pump and had ideas of making a ram air setup like I saw on a 1969 442 W-30. Lets just say that hose was a little undersized for the 425 in our 1965 Delta 88. Man that thing howled trying to feed air to that engine! I had the right ideas as in how to get more and colder air into the engine, I just did not have the engineering expertise to make a truly well thought out and finished product. It was not long after that though that my dad would have me help him change the oil and other aspects of maintenance on the family cars. 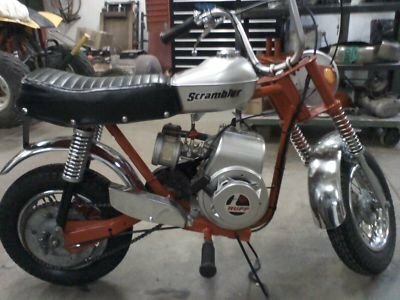 My first two-wheeled motorbike was a Rupp Mini Bike. I was in 8th or 9th grade and I remember Mom bought it at a garage sale for a song and brought it home one Saturday. My brother Tony and I painted the frame Chevrolet Hugger Orange, and the gas tank Argent Silver. It had a tired three and a half horsepower Tecumseh flat head engine and under dad's supervision, we honed the cylinder, re-ringed the piston, rebuilt the carburetor and did a valve job. It ran very well after that. Before, it could barely go faster than 15 mph. Afterward, we were clocked at 35mph. It could go faster if the governor rod was held in. Eventually the engine threw a rod through the crankcase, probably from exceeding the governor once too often. 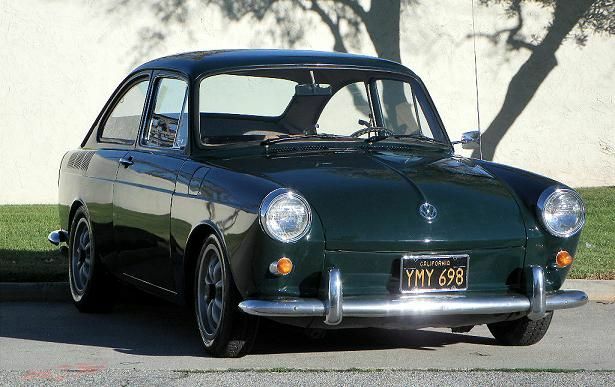 My first car was a forest green 1969 Volkswagen Fastback. We bought it from a neighbor, Mrs. Piner, and it was the first foreign car in our family. Mom drove it for a couple years until I got my license and then I inherited it. We did paint it in Dad's garage, using an oil-less craftsman one and a half horsepower compressor, no tank. It came out ok. My brother took it to 95mph and not long after the engine needed an overhaul. The car did have over 90K miles on it, so I do not know what he was thinking. 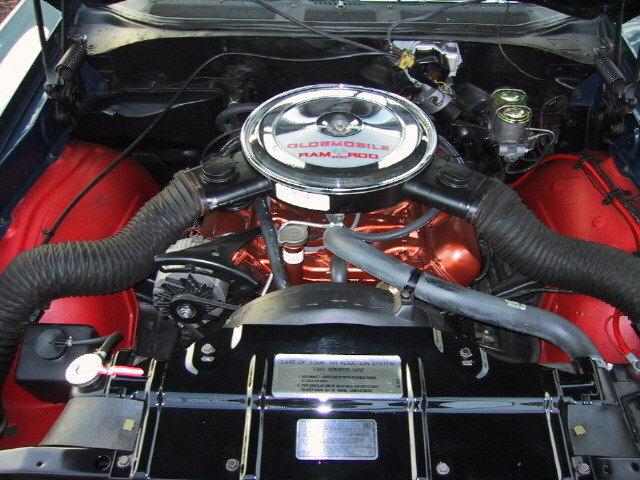 You have to realize this engine had 66 horsepower stock, which is less than most motorcycles I have owned. A local mechanic named Freddy Schenck worked on VWs out of his house. If I recall he had a three or four bay garage in his back yard and knew the VW better than most people and certainly better than I did. He rebuilt the engine for us and did some of the work on the car until I learned how to properly maintain a VW. Changing the oil was not a big deal, but the car had idiosyncrasies. It had electronic fuel injection, which was space age for the year that car was built. Even when I had the car in the late 70's, it was way ahead of American cars. It had front disc brakes too, automatic transmission and radial tires, although the tires were smaller than the rear tire on my R1200RT. One of the problems was the fuel lines. They were of the cloth and rubber variety and would leak after awhile. I replaced quite a bit of fuel line on the injectors and the fuel pump. Often. Since then I had spent many hours in Dad's garage on many different projects: Rebuilding a 350 and a 400 cubic inch Chevrolet engines, rebuilding and upgrading a KZ1000 engine to 1260CCs and rebuilding various automatic transmissions of the Hydramatic variety. Did I mention carburetors? I used to be an expert in rebuilding and modifying Rochester Quadrajets. I would work on Holleys too, but believe it or not, I liked the Qjets better. I also liked to go out there and do homework sometimes, especially in the winter. I would fire up the Round Oak, put a pot of coffee on the stove and do my college chemistry homework. All of this is what I did and does not take into consideration what my brother and father did in that garage as well. Many years have passed since I lived at 2349 Lafayette Street and after Dad passed away in 2008, we sold the house and now someone else lives there. It was sad to drive by the house and know it was not my home anymore; not a place I could go to visit pops, work on my car or just relax. The new owners will never the know what mechanical plots were dreamed up, what bench or other types of racing took place there or the challenges as well. In fact, I fear that some day I may drive by when visiting back east, that the house will be gone, as people are tearing down the old small homes and putting up McMansions. Sometimes memories outlive reality. Today I live in a subdivision in central Iowa with an attached 2 car garage that while bigger than Dad's garage, I find woefully small as it is always filled with stuff. It was only last year I finally bought an air compressor and some air tools to augment my old tool set I have had for almost 30 years. I like my bench better though, as it is longer, wider and taller than Dad's (I am 6'5, so a tall bench is a godsend). With 5 kids ages 5 through 15, it's time I have my own version of Dad's garage and pass something on to my kids in terms of memories and skills. The garage may go away, but the lessons learned there will always be with me. I hope it is the same for my children. Thank you for stopping by. I am sorry I haven't spoken with you in so long. You are always on mind. Yes I remember all of that and more. If I had pictures, I would have used them. Tony has all the albums and it's pain to get him to scan pictures I need. I hope you are doing well. I wish we didn't live so far apart. I remember that too. Love the old wood stove, such a treasure.